Robert C. “Bob” Hurd passed away peacefully on October 23. He was predeceased by Pauline, his loving wife of nearly 58 years, and is survived by his brother John K. Hurd of Bethesda, his son R. Scott Hurd of Alexandria, his daughter-in-law Diane E. Kraynak, and three grandchildren: Charles M. Hurd (19), Winifred A. Hurd (16), and Isabel H. Hurd (11). Bob was a proud Navy man throughout his life. He grew up in a Navy family and served 28 years on active duty after graduating from the United States Naval Academy in 1959, following the footsteps of his father, Rear Admiral Kenneth C. Hurd, class of 1925. His sea duty billets were spent on cruisers and destroyers, including four campaigns in Vietnam. From 1974-1976 he was Commanding Officer of USS Decatur, DDG 31. He spent several tours of duty in California, including billets in San Diego, San Francisco, Monterrey, and Long Beach. Shore duty included stints in Alexandria, Virginia; Memphis, Tennessee; and Newport, Rhode Island. During his career he earned a Master of Science in Management from the Naval Postgraduate School and a Master of Arts in International Relations from the US Naval War College. He retired as a Captain and the Navy offered him a commission as a Rear Admiral during the first Gulf War, which he declined. Following retirement from the Navy in 1987, Bob worked in the emerging world of electronic data interchange, concurrently serving as administrator of the Pan American EDIFACT Board, US Delegate to the United Nations, and chairman of the UN/EDIFACT MDG Committee. He later served as president of the Washington Publishing Company and as Chief Executive Officer of Moore Stephens North America. He spent his final working years as congressional liaison for the US Naval Sea Cadet Corps, a job he loved. Alexandria was home for much of Bob’s life. He attended grade school there and graduated from George Washington High School in 1955. While in the Navy he returned to Alexandria in 1967-68 and again in 1980, as he served his final years of active duty at the Pentagon. 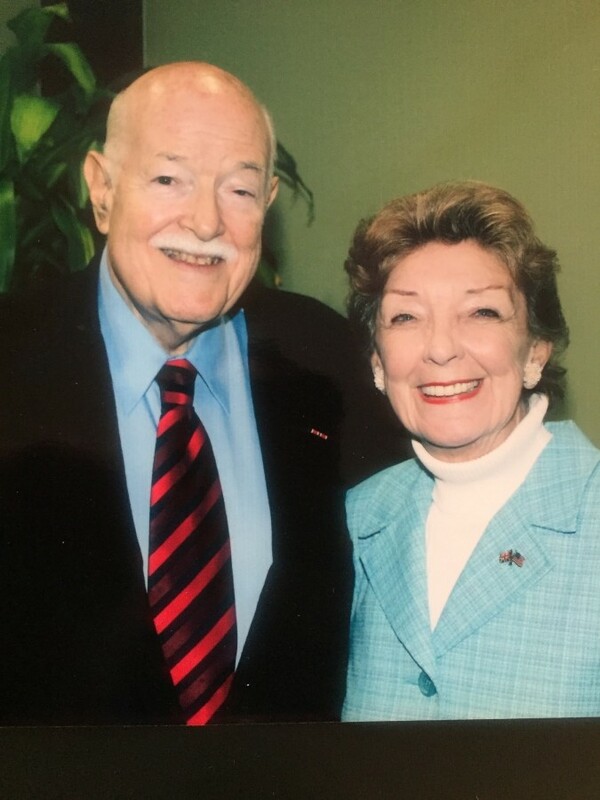 He and Pauline were active in community affairs and enjoyed entertaining friends and family in their home in Villa May, playing golf at the Army Navy Country Club, and their engagement with the Order of Saint John. Bob became a committed Episcopalian as an adult, and while in Alexandria was active at Emmanuel and later Ascension and Saint Agnes in DC, both of which he served multiple times as senior warden. Family and friends will miss his gentle spirit, kind demeanor, steady calm, and sense of humor. They will especially recall and admire his love for Pauline and his dedication to her. A memorial will be celebrated on Tuesday, November 13, 11:00 a.m., at the Episcopal Church of the Ascension and Saint Agnes at 1217 Massachusetts Ave., NW, Washington, DC 20007. A reception will follow at Army Navy Country Club in Arlington.